Discussion in 'Completed Pin Sales' started by ladyroselie, Nov 2, 2018. 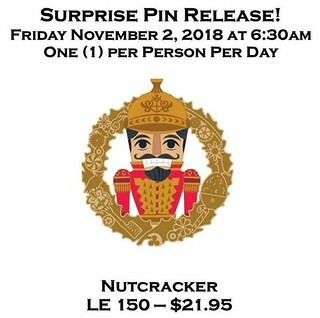 I'm looking to buy all the Nutcracker pins that were released at DSSH today (or just the main set and I can hunt for the LE 150 later). I am willing to pay over retail for your trouble. If you have them for sale please PM me and include your email address so I can reach you since I will be out of the house most of the day. And to grease the wheels, I just got married on Halloween. Eloped with my boyfriend on our 10 year anniversary, so this is kind of a wedding gift. If you can help make it even more magical for me I'd really appreciate it! I have been in love with the Nutcracker story forever and I think this is going to be a very special film for me. We're going to see it today at 11, yay! Heading out soon for home, and will stop by on my way. 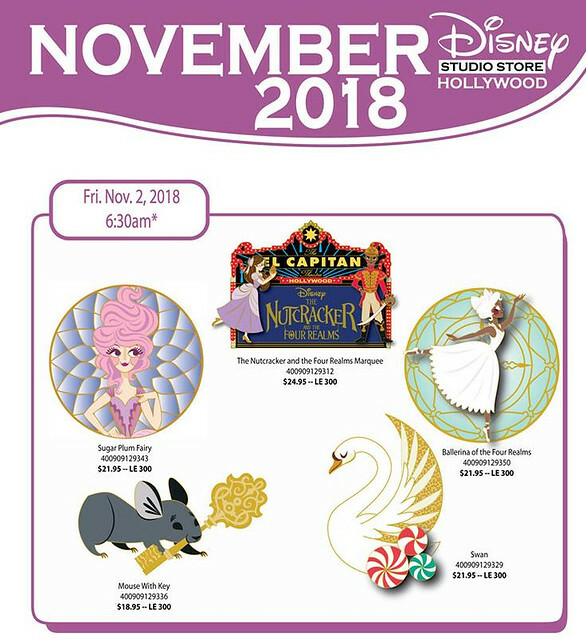 I saw on Facebook that as of two hours ago all pins except the surprise were still available (including the marquee). Thank you! We saw the movie today and both really enjoyed it, out first movie as a married couple! Thank you @timeerkat for helping me find the main pins. Closing this thread now.